On Friday, September 22, Pope Francis will receive in audience the persons in charge for the pastoral care of migrants of the Bishops’ Conferences. 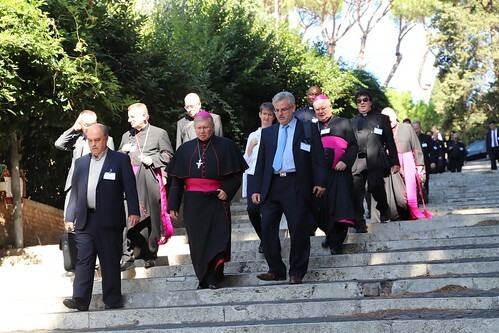 In Rome, the national responsible of the Bishops' Conferences and the sub-secretaries for the "Migrants and Refugees" section of the Dicastery for Promoting Integral Human Development will respectively present their activities for this particular area of pastoral care and will discuss the future of collaboration between the Bishops' Conferences and the aforementioned Vatican Dicastery. The meeting is organized by the "Migrations" section of the Commission CCEE Caritas in Veritate, led by Cardinal Josip Bozanić, in collaboration with the "Migrants and Refugees" section of the Dicastery for Promoting Integral Human Development of the Holy See.